Google Ads or Facebook Ads? Both platforms can produce new patients, but how can you determine which best place to spend your chiropractic marketing dollars right now? The way we search for answers has drastically changed with the advent of smart phones and social media. Google is seen as the go-to source of information and social media is the place for the best recommendations. Unfortunately, Facebook’s organic reach has drastically decreased with algorithm changes. While organic traffic from Google is ideal, advertising allows you to guarantee prime visibility. What’s the difference between Google Ads and Facebook Ads? Formerly known as Google AdWords, Google Ads focuses on keyword targeting with the use of text-based advertisements. Chiropractors advertising on Google Ads will bid on keywords that people search for online to display relevant ads in Google search results. One of the main differences between Google Ads and Facebook Ads is that Facebook’s targeting focuses on the topics Facebook users are interested in and how they behave online. The types of ads that can be created with each platform are very different as well. Facebook Ads must include a picture or video while Google Ads are text-based within the Search network. 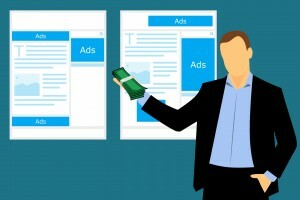 Let’s start with the dollars and cents of Google Ads versus Facebook ads. Narrowing down the cost of digital advertising may seem like a fluid idea that can’t be understood. However, there is enough data to determine the average cost per click for each industry. While it may vary from each campaign to the next, these averages are a good benchmark to start with. The average cost per click in Google Ads for the health and medical field is $2.62 (this can vary widely based on competition), while the average cost per click in Facebook ads for the healthcare field is $1.32. This makes a compelling return on investment case for Facebook ads, where with a relatively low budget you could still see a lot of impressions on your ads. When it comes to intent to purchase, Google Ads is incredibly effective. Google is the place we go to for answers. When a prospective patient moves to your area, they will first turn to Google to find the “best chiropractor near me”. Facebook ads are less effective for immediate conversion because of the nature of social media. People go to social media to browse. However, the key to effective Facebook marketing is capturing a prospective patient’s attention by building a community and a following – making your chiropractic practice memorable for when they do need your services. Facebook is a social platform for building brand recognition whereas Google is most effective for the immediate needs of prospective patients. Both platforms have profound marketing implications. It depends on what your chiropractic marketing plan’s goals are. Both Google Ads and Facebook ads have a vast global audience to pull from for ad targeting. On both platforms, you can target by age, gender, location, education and even income. However, with more than 2.27 billion monthly active users – more than a third of the entire world’s population – Facebook can take targeting users to an extremely granular level. Want to reach parents of children aged 7-9 years old for your pediatric chiropractic practice? Done. In the sports chiropractic field and interested in targeting local collegiate teams? Done. Wanting to expand your acupuncture services to stay at home moms suffering from allergies with a household income of 80-99? Done (Yes, Facebook advertising really does have that capacity). One of the most powerful audience segmenting tools of Facebook ads is the ability for users to create lookalike audiences. Advertisers can upload customer information from their own databases to Facebook, which would then apply filtering based on its own data to match users to the information. Facebook then creates a “lookalike” audience of those users, essentially multiplying the potential reach of advertisements by targeting potential new patients who exhibit the same interests and behaviors as existing patients. 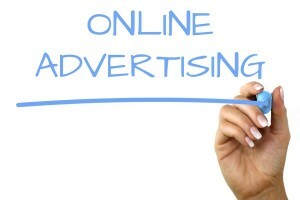 A powerful tool in chiropractic digital advertising is retargeting. Retargeting shows ads to people whom you’ve already tracked their interactions with your brand online – whether they’ve liked a Facebook post, commented on a Facebook ad, or visited your website. This can be done through collecting cookies or using Facebook’s pixel on your website. Which is right for your practice – Google Ads or Facebook ads? 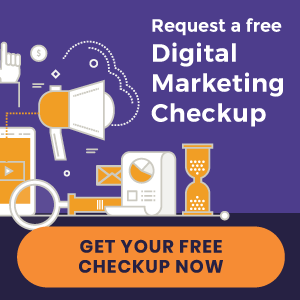 So we’ve reviewed a few of the key categories in determining the direction of your chiropractic digital advertising plan. But how do you make the final decision on whether Facebook ads or Google Ads is a better digital marketing tool for your practice? What are my campaign’s goals? Are you looking to convert patients that are searching specifically for a chiropractor in your area? Or are you looking to expand your reach and brand recognition to a specific type of patient? What is my budget and level of technical skills? While both Google Ads and Facebook ads have continually made improvements to be an easy-to-use platform, in order to get the best ROI, both still require expertise to effectively reach and convert your ideal chiropractic patients. After answering these questions you may come to the conclusion that a mixture of both platforms is the ideal direction for your chiropractic digital advertising plan. But remember, a third-party vendor that does not specialize in chiropractic – or integrate your ads with your overall marketing strategy – will likely not provide the ROI you’re hoping for. Like to learn more about Perfect Patients digital advertising services? Check out our social media and Google Ads services. With Perfect Patients, you get a team of digital marketing experts who specialize in getting chiropractors more new patients from the Internet. They will create the entire marketing plan ­– from ad copy to the final appointment confirmation page – and provide ongoing management to produce consistent ROI. « Chiropractic Website Design | Shore Chiropractic and Acupuncture and more just launched!